Halloween is just around the corner! 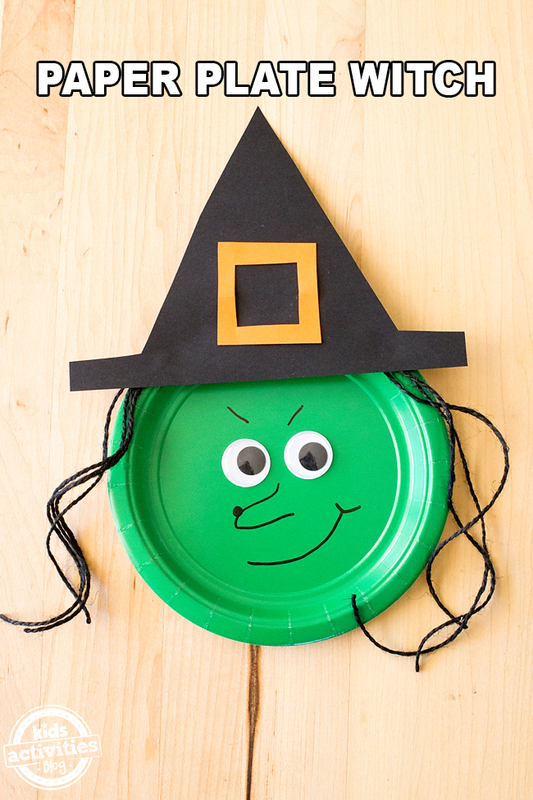 Shared below is an easy tutorial for Paper Plate Witches, a cute and easy craft for Halloween. 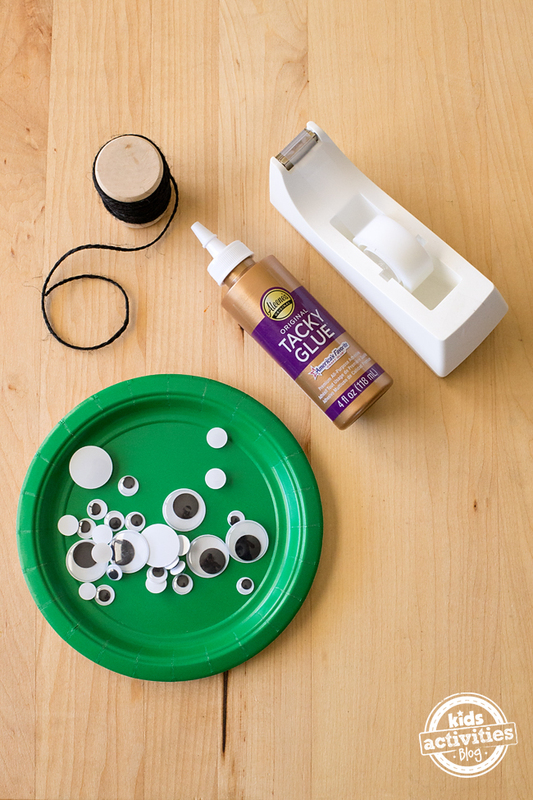 This easy and fun craft is a cute decoration for kids’ Halloween parties. We made some to tape to our kitchen door to celebrate fall! We used green paper plates, but of course kids could paint white paper plates green. After gathering supplies, invite children to cut 8 strands of black yarn. 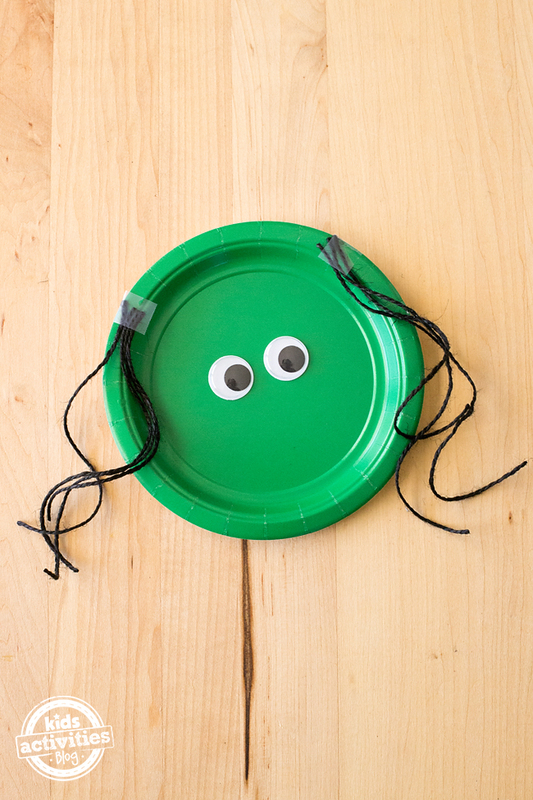 Tape the strands of yarn to the paper plate. 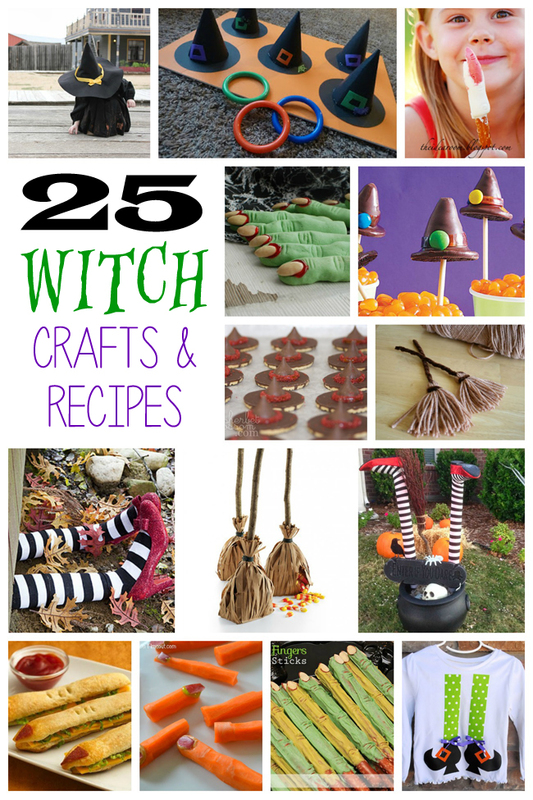 If kids want their witches to have thicker hair, simply add more strands of yarn. 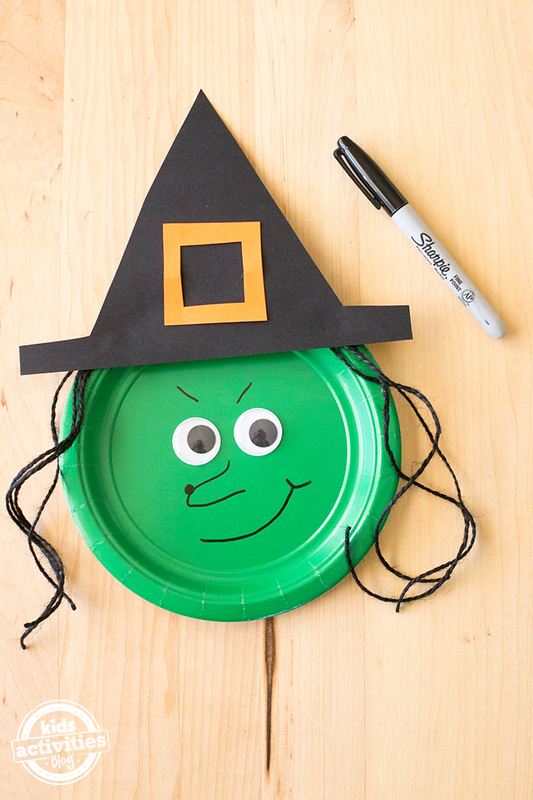 After taping the hair to the paper plate, use scissors to cut a witch’s hat from black paper. Tape or glue the hat to the top of the witch’s head. If desired, cut a small buckle for the hat from orange and yellow construction paper. 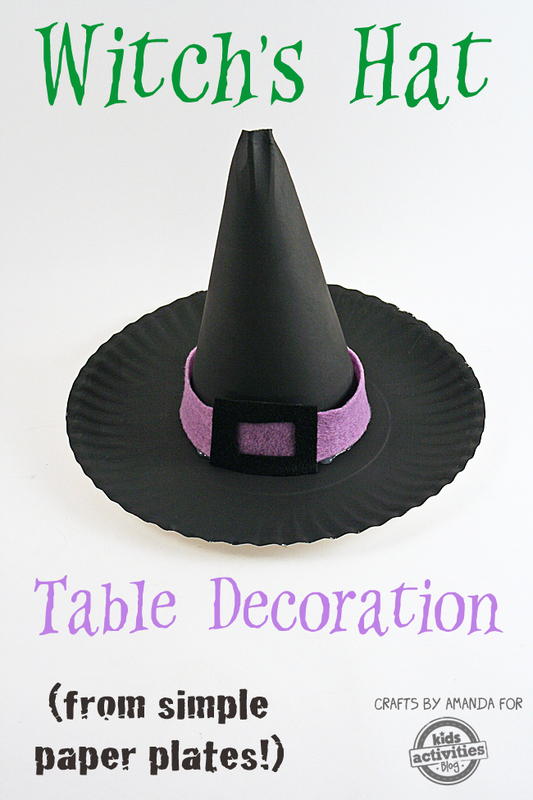 Kids will also enjoy creating witch hats from colored paper or scrapbook paper. Last, secure the wiggly eyes to the witch’s face with glue. Use the black permanent marker to draw eyebrows, a nose, and a mouth.